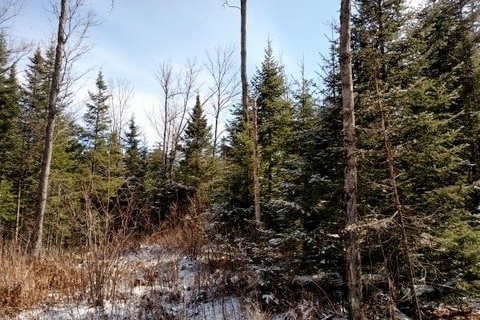 Fountains is pleased to introduce the 718-acre Pleasant Brook Forest, a private and secluded recreational timber property tucked away in the Northern Adirondack towns of Brandon and Santa Clara. The current ownership has held this property in their family for 30 years; now it is time to start a new stewardship legacy here. A well-appointed, off-grid hunting cabin tucked away in the center of the property. It can serve as a turn-key basecamp for weekend retreats or can support future hunting lease opportunities. A remote, quiet setting in the northern Adirondacks for those seeking solitude and respite from the daily grind. However, the property is still within 30-40 minutes of regional population centers like Potsdam, Massena and Malone. A long term, recently thinned maple, birch and cherry timber resource that is perfectly positioned for volume and value growth over the coming years. Over a mile and a quarter of scenic stream frontage along Pleasant Brook, an attractive tributary of the nearby St Regis East Branch. A majority of the property (668 acres) rests outside the Adirondack Park’s Blue line, and thus falls outside the Park Agency’s jurisdiction, a key consideration for future cabin or cottage building options. Pleasant Brook is located in a quiet corner of the northern Adirondacks within arm’s reach of the St Regis River East Branch corridor, five or six miles upstream from nearby St Regis Falls. 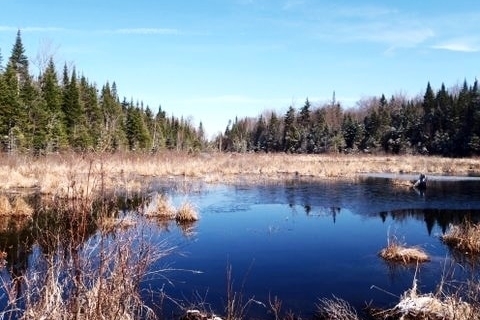 This scenic landscape lies along the transition line between heavily blanketed Adirondack forests to the south and the rolling St. Lawrence Valley to the north and west. Potsdam (population 17,000) is the regional educational hub of northern New York and is situated 28 miles west of the property. Malone (population 5,900) lies 20 miles to the north, while Massena (population 10,800) is situated 30 miles northwest along the St. Lawrence Seaway. Access is gained via 1,375 feet of frontage along Red Tavern Road (CR 14), which fronts the property’s southern boundary. There is also 800 feet of frontage along Everton Road (town maintained) in this same vicinity. 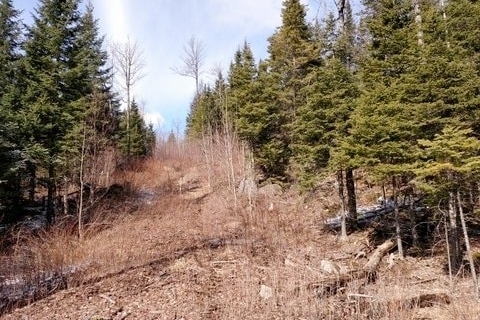 From Everton Road, 5,700’ of frontage exists along the private, gated Eddy Road which is the main entry road into the property and was graveled in 2009 and used as a hauling road during the last timber thinning. 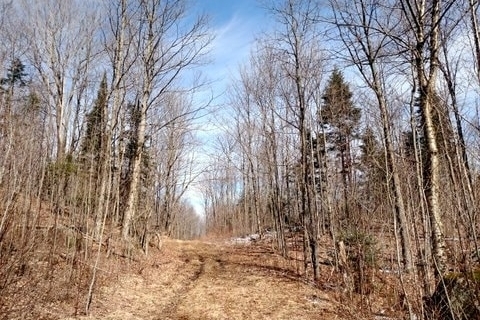 Eddy Road runs northward for three quarters of a mile to the main hunting camp, broadly paralleling Pleasant Brook along the way. 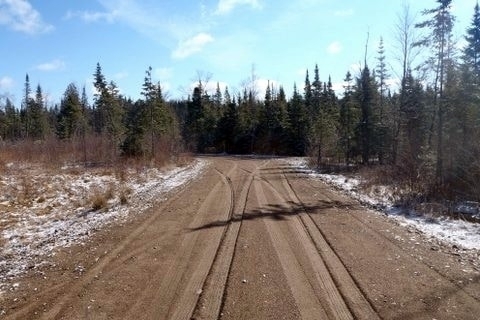 For those seeking a large recreational property for snowmobiling, ATV riding, hunting, fishing, and weekend getaways, Pleasant Brook Forest is worth a look. 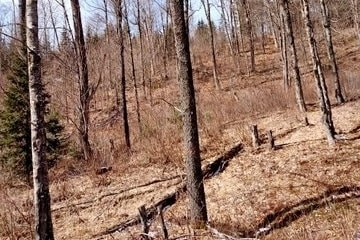 The property spans over a square mile of northern Adirondack forest and has a little bit of everything – a stream, a cabin, a good road system, and a diverse mix of habitat and woodlot opportunities. 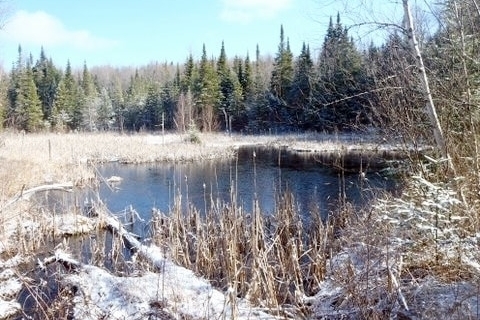 The property is outfitted with two rustic hunting camps and a vacant structure near the gravel pit at the south end of Eddy Road. 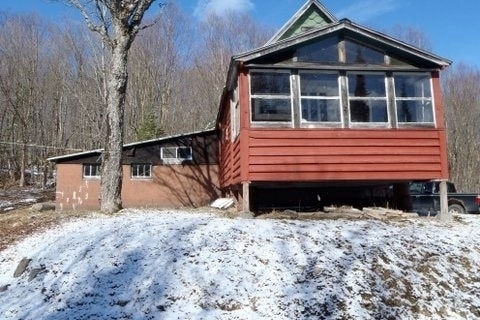 The main cabin, situated centrally within the property on an overlook above the Pleasant Brook flow, appears ready for off-grid weekend retreats. There’s a woodstove, gas cooking stove, bunks, a front porch overlooking the surrounding valley, and an open floor plan that can comfortably sleep 4-5 people. The second camp is situated in the southwest corner of the property near Red Tavern Road and doesn’t appear to have been occupied in many years. It is also outfitted simply and, with work, could be retro-fitted to serve as a second camp building.